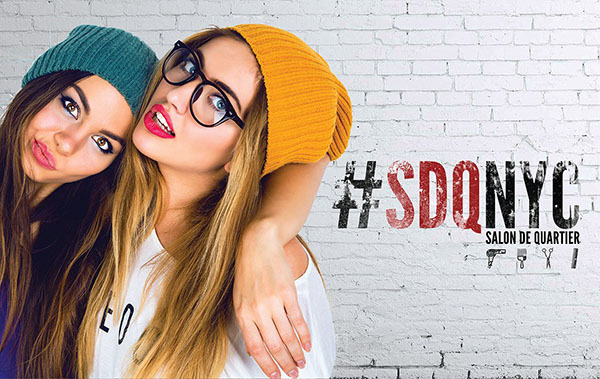 MyTopFace is all about finding new and intriguing salons, and we’ve had our eye hooked on the super famous, uber chic and laid back Salon DeQuartier. 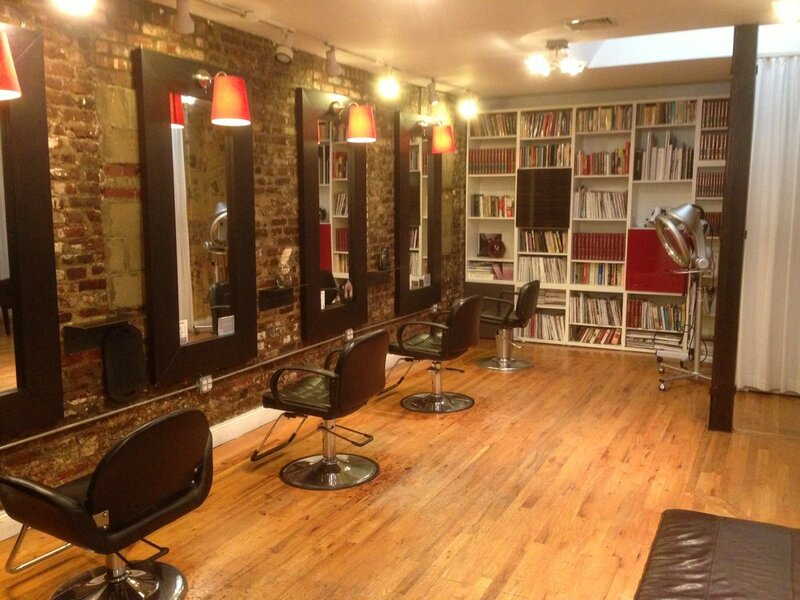 Known as one of the best Salon ins NYC to have an ombre color treatment done to your hair, we decided to send out one of our MyTopFace Experts to experience this amazing Salon and report back to us. 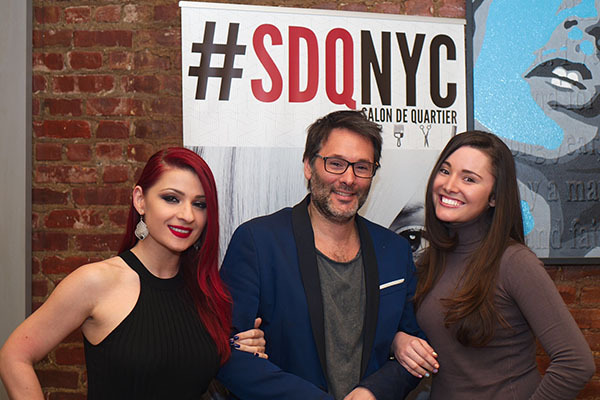 Set in an urban haven in the middle of Brooklyn, you can find the Salon DeQuartier on 206 Smith Street, where the owner Sebastian and his ridiculously friendly staff are always smiling, friendly and ready to help you look amazing! Honestly, what would life be without a good hair stylist? Our MyTopFace Expert sat down with owner Sebastian and Stylist Vilma to chat about the new haircut, blow out and treatment that they would be doing. 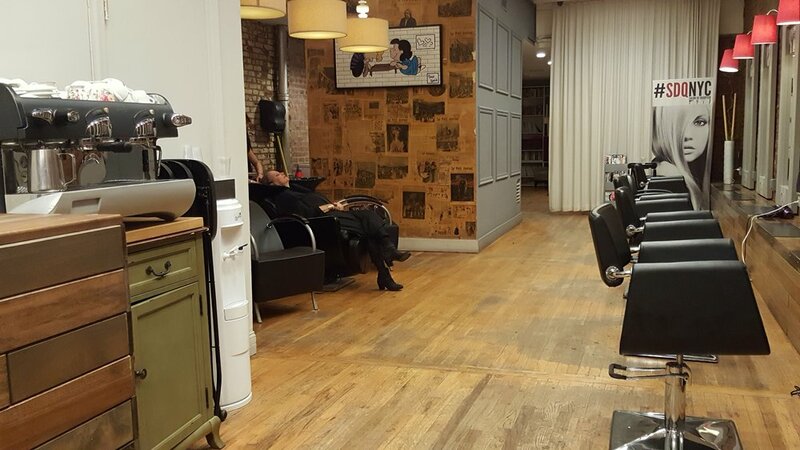 MTF: What is it about your Salon that sets you apart from all the rest in NYC? Our design approach is urban & simplifying, allowing for clean design and brick walls to take center stage. Removing the superfluous hair salon tools so that the client can focus on a comfortable “at home” feeling and essential wellbeing. MTF: What do you think it is about ombre hair that gets everyone so excited? Sebastian: The term ombre is from the French word meaning “shaded or shading.” Ombre hair color is generally darker from the roots to the mid-shaft and then gradually becomes lighter from the mid-shaft to the ends. This fun effect gets people excited because it creates volume, movement, adds dimension to any type of hair and gives this edge that a lot of people are looking for right now – Ombre – Balayage is what I prefer though, for a more natural sun kissed effect. MTF: Can you tell us more about the cut and style that you chose for our MyTopFace Experts hair and why you went for the cut that you did? Vilma: Hair is art to me – and what I love the most is the process of transforming someone from start to finish – We started with a consultation – which is the essential of any service – got to learn what she liked about her hair and what kind of message she wanted to give – so I gave her a unique cut and style – completely tailored! and that’s the thing about me – everything I do is customized per the client story, per the client’s vibes. When you base yourself on this, you can never go wrong. So I added soft layers to give her more shape and volume and I finished with a wavy blow out with volume. She looked fabulous! MTF: What is the difference between a Keratin and a Japanese straightening treatment and what was the treatment that you decided to use on our expert’s hair, and why? Vilma: A Japanese straightening treatment makes the hair permanently straightened with chemicals. It changes the internal bond of human hair while Keratin does not – It only smooth’s out the cuticle and repairs hair damage. It lasts 3 to 4 months and smooth’s hair gently and restores the wire. 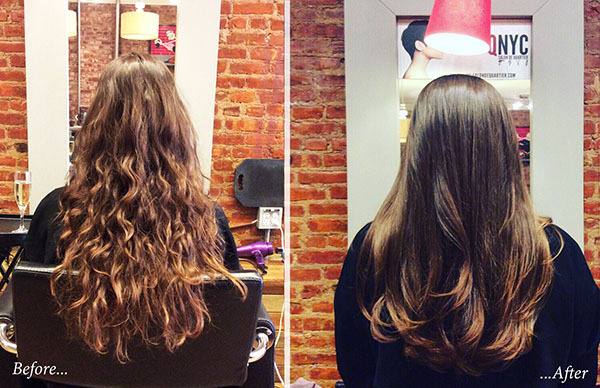 With a keratin treatment, anything is doable – single process, highlights etc. While with a Japanese treatment, color is not advised for at least one or two months – KERATIN WORKS AS A TREATMENT. MTF: We’re so intrigued with the Cadiveu Professional products that you used and would love to hear how you discovered this brand, what it is you love about it, and what its effects on our expert’s hair was? Vilma: Our salon introduced me to the product and we are in love with the results – It provides absolute smooth hair, eliminates frizz, curls and puffiness, promoting a beautiful hair and manageable straight hair, hydrated with extreme brightness for at least 3 months, the expert’s hair looked so silky and beautiful with no frizz – no locks. MyTopFace is so impressed with the friendly, professional and awesome stylists and staff at SDQ, and we’d like to take this opportunity to thank both Sebastian and Vilma for taking the time and effort into creating such an amazing look for our MyTopFace expert, she looks amazing with her new hairdo!